I don’t know about you, but I’m always trying to improve my productivity, keep things more organized, and remember to do new tasks. 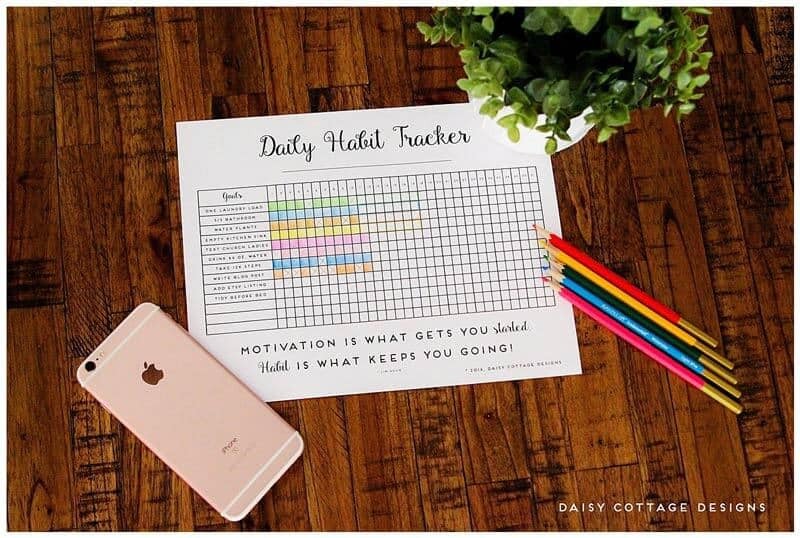 This printable habit tracker (you could also call it a daily goal tracker), might be just the thing that we need. I don’t know how coloring in a little box can be so motivating, but it really is. You’ll see in the top right hand corner that I’ve created a key. When I’ve completed a task, I color it in. When I’m going to be out of town, I outline the days I’ll be away. When it’s a task that I don’t need to do every single day, I put a dot in the middle of the days that I want to complete the task. To indicate that I didn’t do it, I simply leave the box blank. To use this daily goal tracker, simply click on the link below. 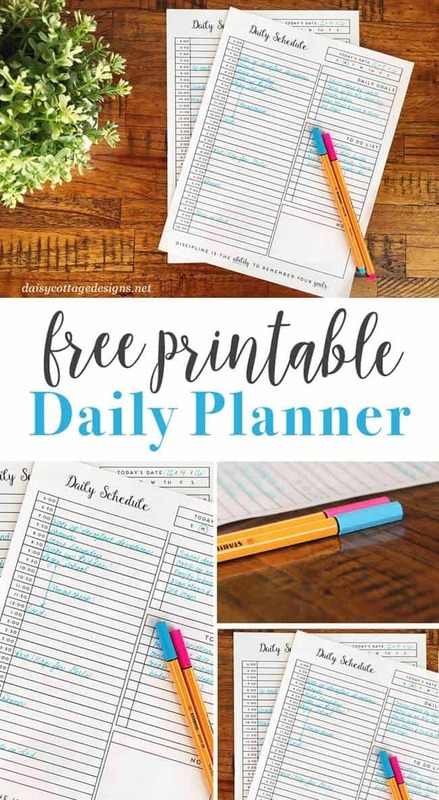 Then, you’ll be able to print this habit tracker as many times as you need to. I typed in my goals, but the PDF download is blank so you can pencil in your own. 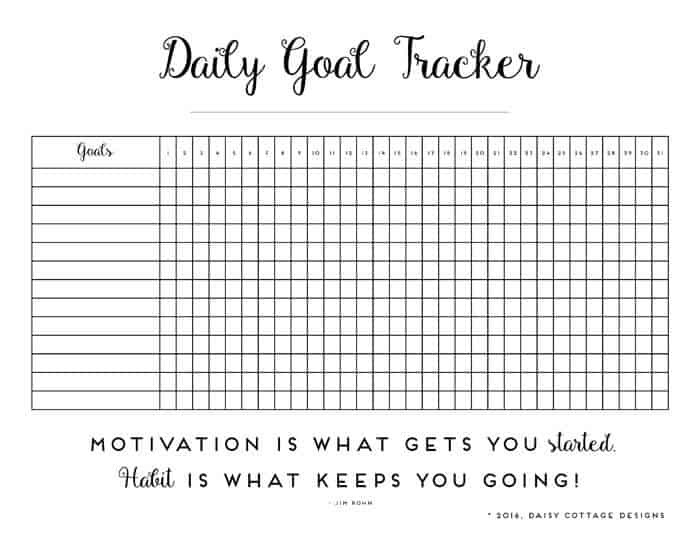 Click Here to Download the Daily Goal Tracker! Me encantan tus diseños !!! Felicitaciones !! Thanks for sharing this on Family Fun Friday. I have chosen this as one of my featured posts for this week. I struggle with habits, so this is a big help for me. Thanks, Adrian! I appreciate it! thanks so much for sharing. I am beginning again on my weight loss journey and attempting to make and track good habits.